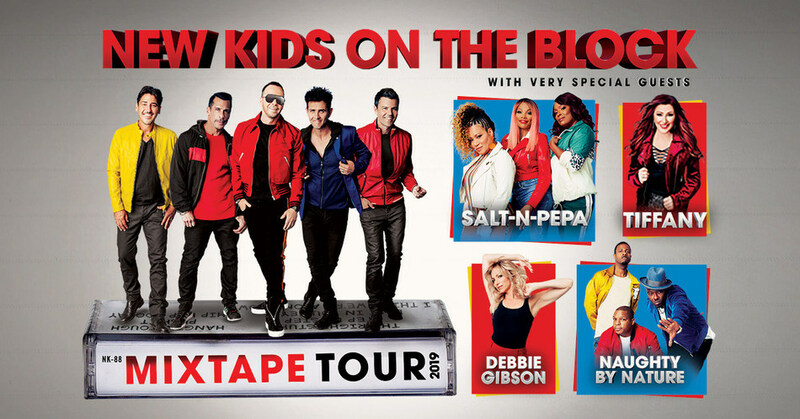 NEW YORK — Today New Kids On The Block, the multiplatinum selling pop super-group, unveiled an epic lineup for their highly anticipated 2019 tour. NKOTB took to the Today Show plaza to reveal The MixTape Tour with very special guests Salt-N-Pepa, Tiffany, Debbie Gibson and Naughty by Nature. The five iconic pop and hip-hop acts will hit the road together for the first time ever on a 53-city tour across North America next summer. Produced by Live Nation, The MixTape Tour will embark on its three month journey beginning May 2nd in Cincinnati, OHand make stops in Nashville, Dallas, Los Angeles, Atlanta and more, before wrapping July 14th in Hollywood, FL. See full itinerary below.